I’ve got an overstock of peanut flour in my pantry. Apparently, I’ve been hoarding a few bags for a while. So, if I start posting more peanut butter recipes than usual, you’ll know why. 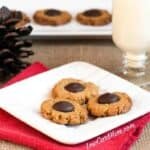 I really enjoyed the peanut butter blossom cookies that I made for the holidays. 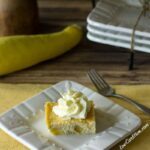 I loved them so much, I made them a couple more times since posting the recipe. Although I really love the peanut butter cookies, I figured I’d try something a little different. 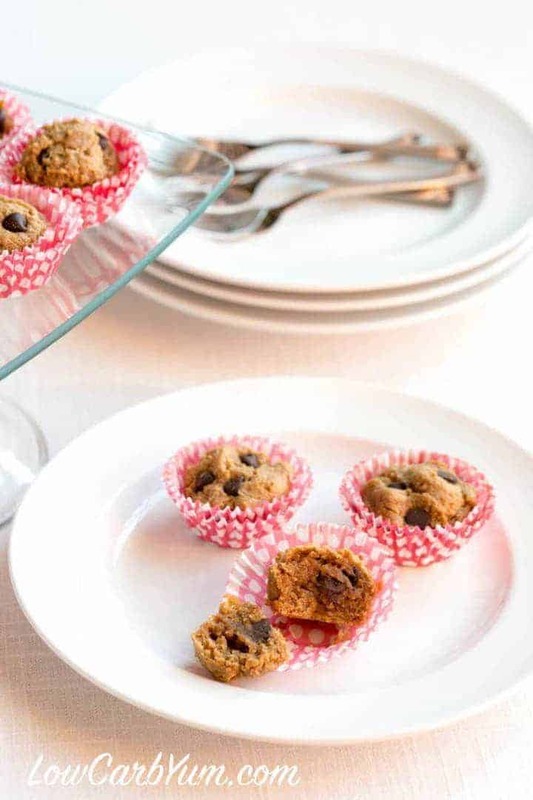 To keep portion size under control, I baked up some mini peanut butter chocolate chip muffins! 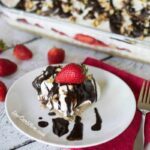 Inspiration came from this recipe. I kept a watchful eye on the muffins to make sure they didn’t overcook. 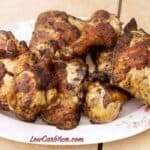 When I took them out, they were just slightly under-baked which left them very moist and flavorful. The centers of the muffins were still a bit gooey which is just how I like them. 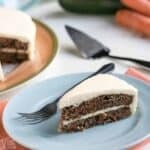 The texture reminded me of a soft-baked chocolate chip cookie. 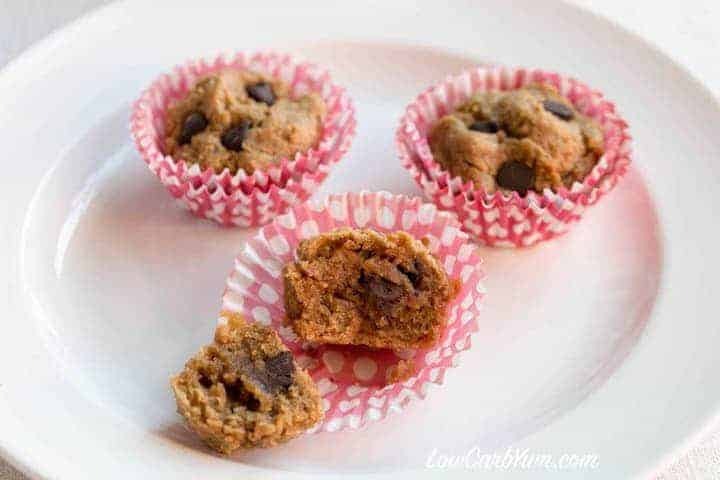 These delicious gluten free mini chocolate chip peanut butter muffins are so easy to make. 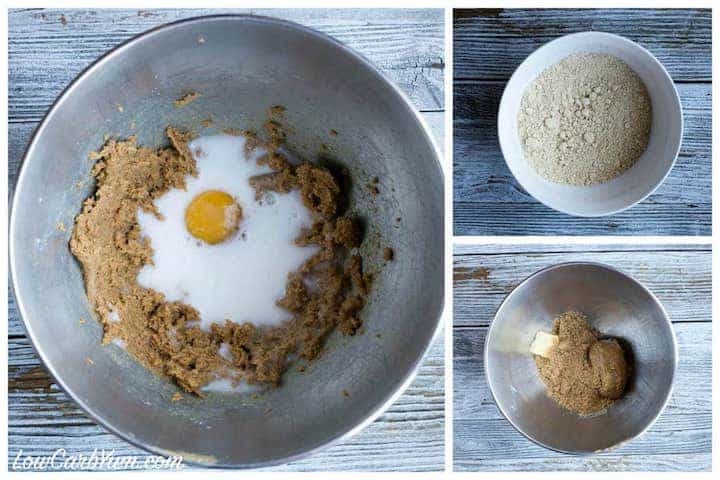 You just combine the dry ingredients, then the wet ingredients, and then mix the two together. If you don’t want to add chocolate chips, you can leave as is. I wanted the chocolate peanut butter taste, so I added a small amount of sugar free Lily’s baking chips. 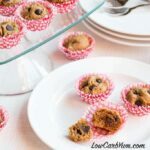 To get the batter into the mini muffins cups with ease, I used a cookie scooper which was the perfect size! The baking time was about 10 minutes and the inside of the muffins were purposely left a bit soft. 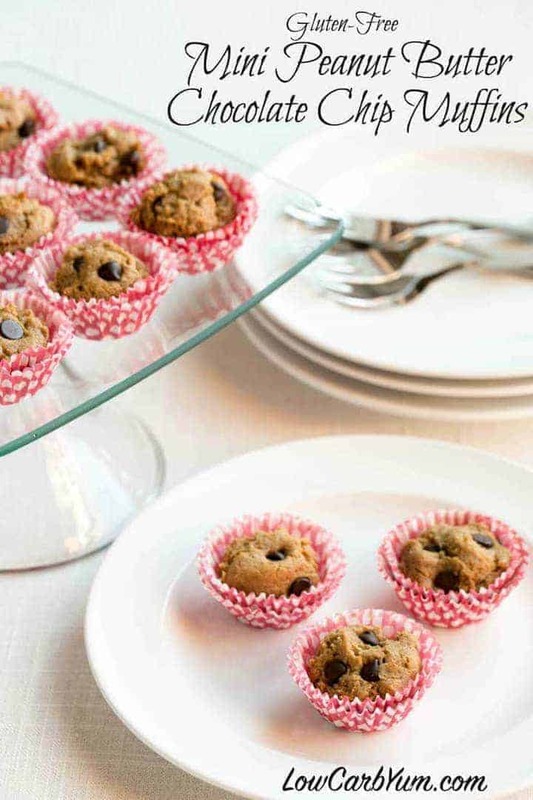 This gives them the texture of a soft baked cookie. 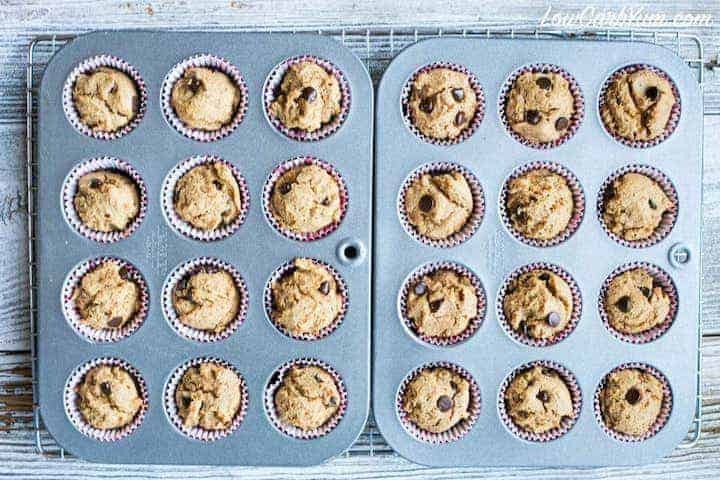 With all the peanut flour I have in my kitchen, I’m definitely going to be baking these low carb mini chocolate chip peanut butter muffins again soon. If I have the time, they will be baking in my kitchen this weekend! I must warn you that these little muffins are very addictive and you’ll have to have some self control with them. To keep the carbs within snack limits, you shouldn’t eat more than two. You may have to lock them up somewhere out of site and keep them out of your mind! 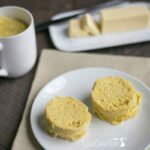 You can certainly make these into larger muffins if you’d like. You’d probably have to add another 5 minutes or so to the cooking time for regular sized muffins. One of my daughters really loves mini chocolate chip muffins so I decided to try this mini size. I’m glad I did because I prefer the bite size bites! 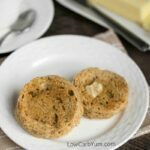 I’m thinking that these tasty little low carb gluten free peanut butter chocolate chip muffins could be pressed out into cookies as well. 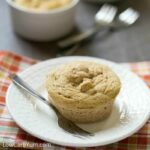 The batter is really thick, similar to cookie dough, and they did not completely spread out in the muffin cups. 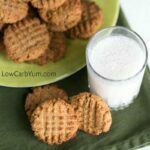 I may have just accidently discovered a new peanut butter cookie recipe! I’ve still got two and a half bags of peanut flour left so there will likely be more yummy peanut butter treats in my future. These yummy gluten free muffins didn’t last long. So, maybe I’ll make a double batch to freeze in individual portion sizes so I’m not tempted to eat them all at once! What’s your favorite peanut flour recipe? 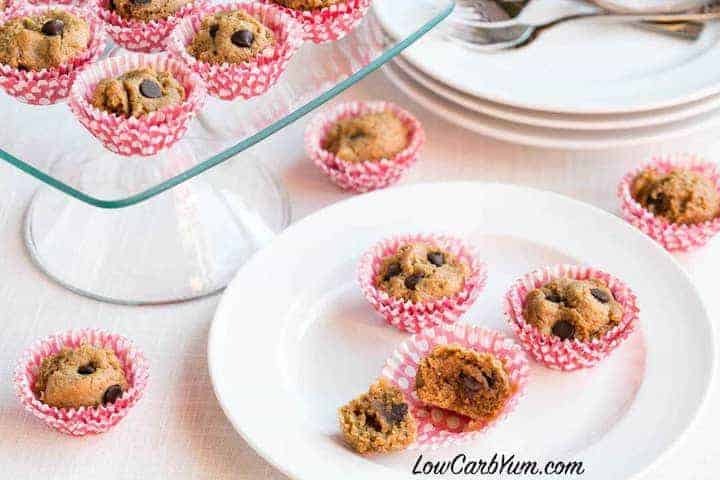 Delicious low carb gluten free mini chocolate chip peanut butter muffins in perfect bite size portions. So good, they are hard to resist! Preheat oven to 350°F. 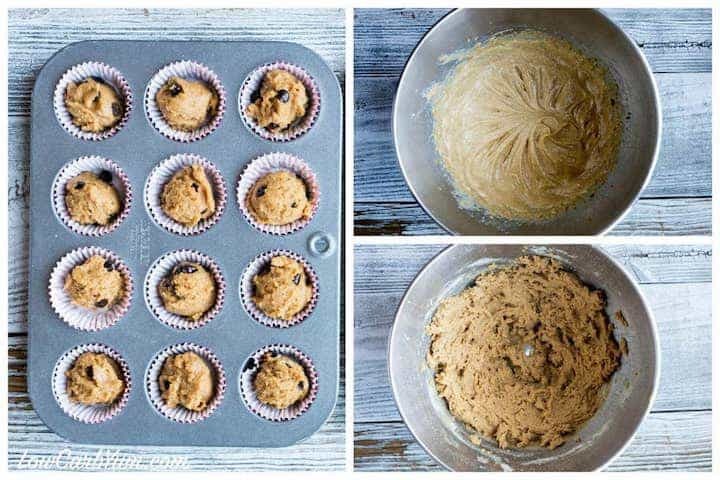 Line mini muffin pan with baking cups or grease. 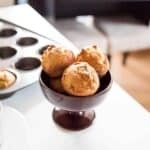 Combine peanut flour, baking powder and salt in small bowl. In large mixing bowl, beat together peanut butter, butter and sweetener until creamy. 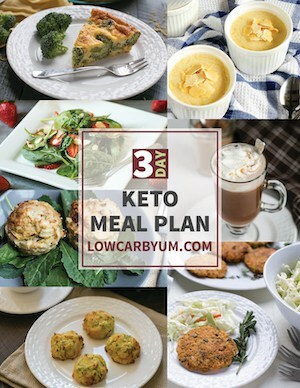 Beat in egg and low carb milk until smooth. Stir dry mixture into wet mixture until blended. Add chocolate chips. Spoon batter into prepared muffin cups (I used a cookie scoop). Cool on wire rack for 5 minutes, then remove each cupcake to cool completely on rack. 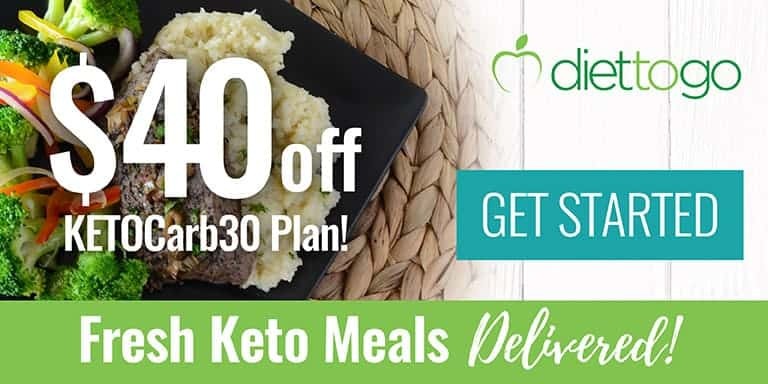 Nutritional data does not include erythritol. There are about 3.4g erythritol in each muffin.